I did it. I actually, finally, miraculously did it. I reached my Camp NaNoWriMo goal of 25,000 words!! To be honest, I was doubtful that I would be able to reach this goal at all by the end of July due to my busy internship schedule, a family camping trip, and the BookTubeAThon in the latter half of the month. However, I completely surprised myself by surpassing this goal on July 15th, just about the halfway point of July! This certainly isn’t a full draft of my novel, but it nevertheless feels amazing to have a solid foundation upon which I can build in the future. I’ve been working on various drafts of this one story for years, and I finally feel as though I have a version of it that I’m really pleased with. I’m so glad I decided to take on Camp NaNoWriMo this summer! One piece of advice that I found really helpful was to write every single day. Even if I didn’t feel like writing after getting home from work or if it was simply too hot to think, I made it a point to scribble down at least a few words or thoughts. Not only did writing every day keep my momentum going and my spirits up, but it also kept my story churning in my mind. I found myself thinking about it even when I wasn’t actually writing, which meant that I was much more prepared with ideas when I did sit down to write. 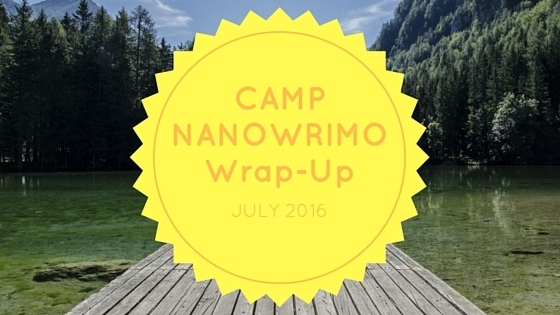 Goodbye for now, Camp NaNo! It’s been real. 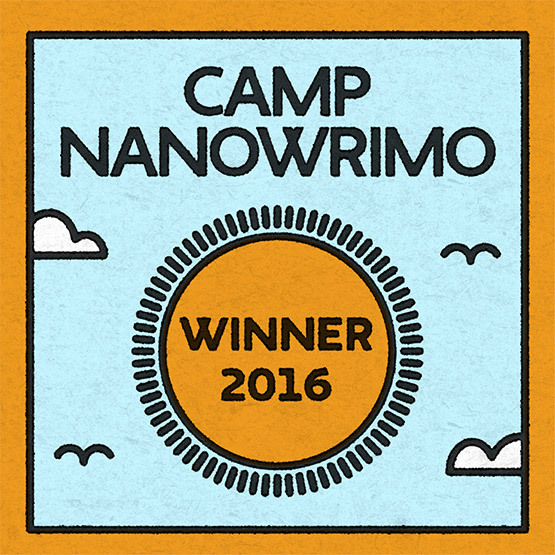 Did you participate in Camp NaNoWriMo? How did you do? What tips and tricks did you find helpful? If not, have you been writing lately? Let me know in the comments section below! haha no I only took the picture of the word count on the typewriter– everything else I did on my laptop 🙂 That would have taken FOREVER! Oooh that makes much more sense 😛 it would have! Congrats, Holly! I’ve definitely found that writing a bit each day helps keep me on track. Hopefully you’ll share more as your project continues to grow. Thank you!! 🙂 You should definitely participate in NaNoWriMo! It’s certainly a challenge, but you feel such a sense of accomplishment at the end. It’s all worth it! CONGRATS! How awesome to meet set goals. I need to set a new goal list, and you have inspired me!